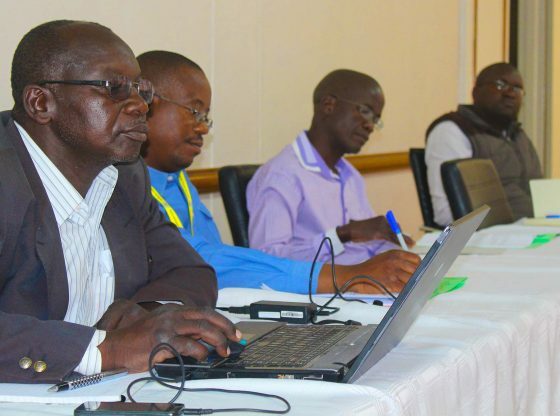 The Mining Industrial Advisory Committee held a one-day workshop at the Midlands State University’s Harare Campus to craft new strategies that seek to improve programmes offered by the University’s Faculty of Mining and Minerals Processing Engineering. The workshop held on the 30th of August, 2018 was also aimed at coming up with new strategies for enhancing programmes offered by the Faculty so that they have a more positive impact on the environment and the country’s economy at large. Mining Industrial Advisory Committee vice-chairperson, Ms Simangaliso Makoni said while Midlands State University has already been employing a strategy of its own, the workshop was aimed at incorporating new ideas to complement the existing strategy so as to enrich the quality of its programmes. ‘The University has been working on its own, definitely, they can’t run without a strategy. There has been a strategy that they were following but now they are bringing in other stakeholders like I said there are associations involved, industries involved so they want to make sure that whatever they deliver can be of value to the industry, so they are now incorporating other stakeholders,’ she said. The workshop was attended by the Zimbabwe Miners Federation, the Zimbabwe Chamber of Mines as well as industrialists and was coordinated by the Midlands State University’s Faculty of Mining and Minerals Processing Engineering.